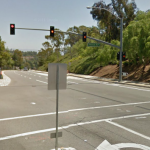 FOUNTAIN VALLEY (December 27, 2014) – Bicyclist Vinh Tran died on Monday from injuries suffered while riding his bicycle on Saturday morning. 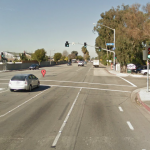 The incident occurred around 9:30 a.m. Tran was southbound on Brookhurst Avenue when he was struck from behind by a Jeep, near the Heil Avenue intersection. He was rushed to a local hospital where he succumbed to his injuries on Monday. Vinh Tran, a resident of Westminster, he was 36 years old. The driver who struck Tran was identified as William Joseph Klein, a 37 year old Santa Ana resident. He was found to be driving under the influence of prescription drugs and was arrested and booked. He is being held on $100,000 bail. Fountain Valley Police Department is investigating this crash and witnesses should contact them immediately at 714-593-4484. The family of Vinh Tran may be able to pursue the driver for the wrongful death of their loved one especially if the driver of the Jeep was found to be at fault. Our deepest condolences go out to the family and close friends of Vinh Tran for his sudden and untimely death.